Universal Pictures and Illumination's new comedy adventure Despicable Me 3 ran off with a nationwide box-office haul of P93.6-M to open a No.1 and grab the biggest opening weekend for an animated title in 2017. Bowing two weeks earlier in the Philippines ahead of the US, Despicable Me 3 proved to be a worthy successor to its previous two blockbuster installments, reinforcing its formidable brand as a family franchise. Its successful launch in PH is the biggest in the region, grossing more than in Malaysia, Singapore and Thailand. Getting the lion's share of box-office grosses are SM Mall of Asia, Trinoma and SM Megamall. In fourth to tenth rankings are SM North Edsa, Glorietta IV, Powerplant, Greenbelt III, Alabang Town Center, Fairview Terraces and SM Southmall. Rounding up the top 20 (11th to 20th) are SM Baguio, SM Dasmarinas, Robinsons Magnolia, Fisher Mall, SM Marikina, SM Fairview, Eastwood, SM Clark, Shang Cineplex and Bonifacio High Street. 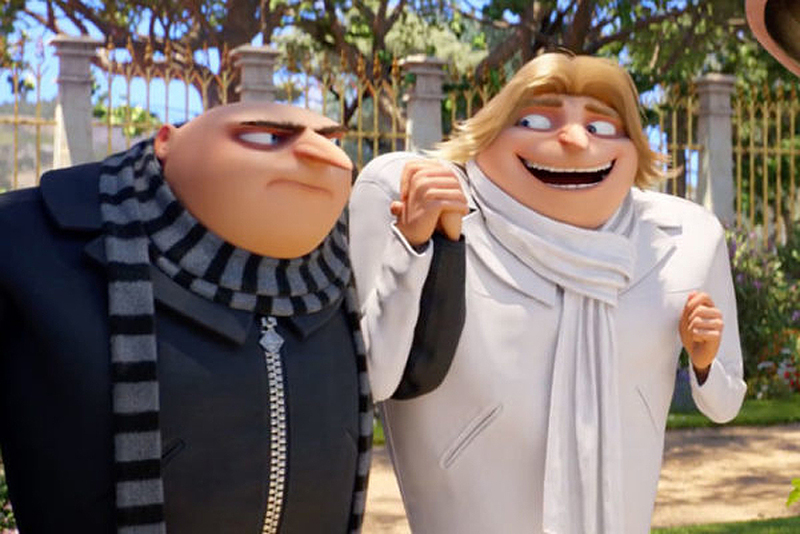 Illumination Entertainment continues the story of Gru, Lucy, their adorable daughters—Margo, Edith and Agnes—and the Minions in Despicable Me 3. Now playing across the Philippines, Despicable Me 3 is distributed by United International Pictures through Columbia Pictures.